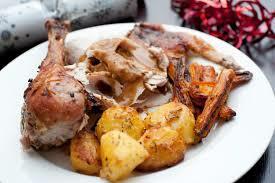 Turkey is a great food eaten especially around Christmas and Thanksgiving. It is known as a seasonal food with whole meals planned around it. It is cooked and then often made into different meals often depending on how much you have left over. So can rabbits eat turkey at all, and if they can how much can be eaten? Unfortunately rabbits cant eat turkey at all. It is not good for them to eat at all. As herbivores, they need to eat hay and grasses with rabbit pellets and vegetables. If they do happen to eat a little turkey then it wont harm them, its just if they eat a whole lot of it then it wont do them any good and it may affect their health. But rabbits are pretty good at knowing what they like and don’t like. So do not purposely give a rabbit turkey.